They say to get over a problem you must first admit that you have one. I have an addiction, affliction – call it what you may. The sea trout is my mistress, my temptress and I yearn for her attention. She keeps me up at ungodly hours, provokes me, teases me and leaves me wanting more. Sometimes she is cruel, sometimes she is kind, but no matter what her mood to me there is no finer treasure to be found. Located on the south of the Argentine Patagonia, the Santa Cruz River shines out as an oasis in the middle of the desert. Mikael Frödin is a well-known fishing figure in salmon fishing circles. Over the years we have seen, heard and read about his catches, flies, fishing equipment, techniques and fishing locations. This is a man who lives and breathes salmon fishing on a full-time basis. A dream life that only a few can enjoy, right? Who, actually, is Mikael Frödin and how did everything go like it did? While salmon fishing in southern Norway has been depressing for some seasons in many of the rivers, the situation is completely different in a lot of the rivers in the north, especially in the most northern county Finnmark. One of the rivers that have seen the most positive development is the wild and beautiful Vestre Jakobselv. I know, it’s a contradiction in terms – but sometimes it is true. The Blue Terrible is a terribly good fly, and its “claim to fame” has been proven through almost two decades of catching fish in different rivers all over Norway. The Piper Super Cub flies slow and low. It feels like in the old movie “Out of Africa” except I’m in or more accurately over Alaska, and there are no lions or zebras down there, I don’t look as good as Robert Redford and of course I’m not the pilot. There are many myths concerning Icelandic salmon fishing. Do you use tiny flies? Do the fish take from the surface? Should you leave your two- handed rods home? We have travelled to the Langá River in Iceland to learn the truth and to fish just risen Atlantic salmon with light equipment. I stepped out of the helicopter far in North Russia in Mid June: howling winds, near 22 m/s and rain that was more like sleet hit my face instantly. 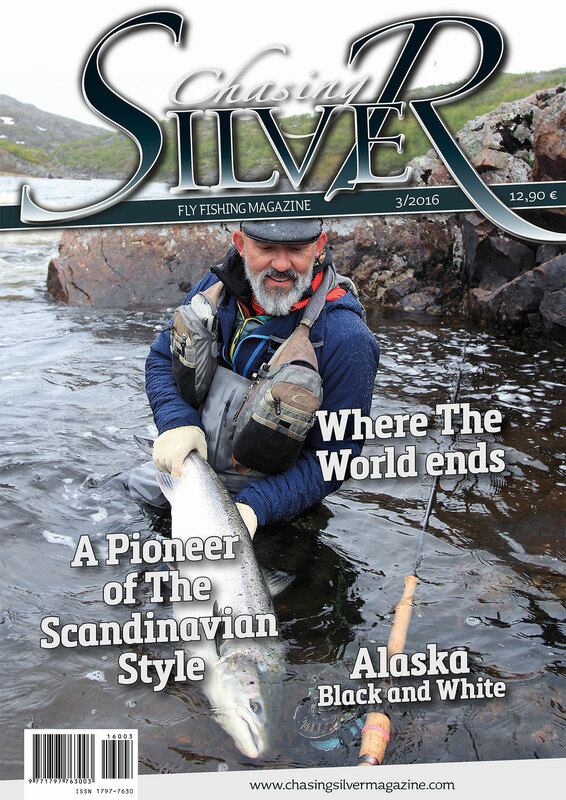 I thought: damn, this will be interesting, but I did not care, because I had a chance to fish one of the best salmon rivers in the world.